Descendants of John Jackson are interested in building up their knowledge of the family of John Jackson, son of Christopher Jackson and Margaret Greenwood. Christopher Jackson was born around 1816, but we don’t know where. He died on 26th January 1861 in Pendleton (part of Salford Manchester). On Christopher's death certificate, the informant is a Joseph Jackson of Weaste Lane Pendleton. Possibly this was his father, possibly his 21-year old son. We suspect Christopher was born in Manchester as there is a Christopher Jackson born 1813 in Blackley Manchester to a Joseph and Hannah Jackson, listed in the IGI. Christopher was a journeyman cotton bleacher. He married Margaret Greenwood who was born around 1815/16 in Burnley Lancashire and baptised in St Bartholomews in Colne on 3rd September 1815. Her mother's name was Grace, a spinster. Christopher and Margaret were married on 28th August 1837 at St John's Church Manchester, and were then living at Salford. On the marriage certificate, his father's name is given as Joseph Jackson (a wheelwright). There is a mystery surrounding Margaret. On her marriage certificate to Christopher, her father is specified as John Rushton, a comber. On her marriage certificate to Samuel Berry, her father is listed as John Greenwoood, a wool sorter. John Rushton may well have been her step-father. According to the 1861 Census, the Jacksons were then living in a street called Forster's Wood, Pendleton. When Christopher died in 1861, Margaret re-married (to Samuel Berry) in Manchester in 1861. The Berry's were also living in Forster's Wood at the time of the 1861 Census. Robert born about 1856/57 Salford Lancashire. 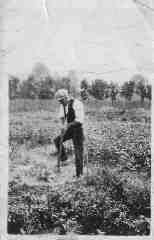 John Jackson (a rubber worker) was our great-grandfather. He was born in 1851 in Salford Manchester England, at 7 John St. He married Margaret Smart (another rubber worker) in Maryhill Glasgow on 28/12/1877. Margaret Smart was born a Braes and that family came from Muiravonside in Linlithgowshire. John worked at MacLellan’s Rubber Works in Maryhill where he became a foreman. At the time of the 1881 Census the family lived at 251 Gairbraid St and had 2 children – Christopher (2 years) and Margaret (10 months). John's mother Margaret and her second husband Samuel Berry also lived in Maryhill in 1881 (at 7 Ruchhill Rd) and he worked at the rubberworks too. By the time of the 1891 Census John and his family were living at 76 North Watson St and had 5 children – Margaret (10), Robert (9), Hannah (7), Helen (5), and Elisabeth (3). Additionally John’s mother-in-law Margaret Smart lived with the family. Margaret Jackson died 26th April 1891 and John then married a lady named Mary Bell on 1/7/1892. In the mid-1890's the family moved to England from Scotland. Possibly this was triggered by the death of Margaret or may have been due to a search for work. In the 1901 Census they were living at 22 Sophia Rd West Ham. By this time there were four extra children - John (8) born in Galsgow; Alice (6) born in Warrington near Manchester; Joel (3) born in West Ham; Charles (6 mths) also born in West Ham. Margaret Smart was no longer with them but the 5 older children were all there. John, Margaret (Maggie), Robert and Hannah were all rubber workers (we think at Henley's Rubber Factory in Woolwich). Hence John Jackson was born in Manchester, moved to Glasgow sometime between 1861 and 1877, then moved to London sometime between 1891 and 1901. There is a family story about a Mrs Lilywhite but we know nothing about her other than that she lived at 192 Caledon Rd East Ham at one time (post World War I). We can find John's brothers Christopher, Robert and (probably) Joseph, all still living in Manchester in 1881, but have no further information on the sisters, Alice and Jane. Robert Jackson son of John and Margaret was our grandfather. Robert was born in Maryhill on 21st February 1882. He married Sarah Susannah Maud Hicks (known as Maud) on 4th July 1909 in East Ham and they lived at 12 Charlement Rd in East Ham initially. Robert’s sister Hannah was a witness at their wedding. Robert and Sarah had two daughters named Maud Elizabeth (b. 1910) and Ethel Eugene (known as Jean - born 1915). By the time Maud Elizabeth was born they lived at 51 Winifred St Woolwich. Sometime later they moved to 33 Hook Lane Welling – known to the family as the "Maryhill House". After the death of Sarah in about 1948, Robert moved to 32 Vauxhall Walk South Lambeth, where he died in 1958. Both daughters (Maud and Jean) married and had families. Both later migrated to South Australia. Maud married George Stanley Kilner in Dartford Kent in 1939, with Robert as one of the witnesses. They lived in Barnehurst Kent before migrating to Australia in 1957. They had three children - Roger (b. 1942), Pamela (b. 1944), & David (b. 1947). George died in 1965 aged 55 years. Maud died in 2001 aged 90 years. We are George and Maud's sons. Jean married James (known as Jerrie) Carnall in Zanzibar and they had one daughter – Geraldine. Jean died in the early 1990’s. We would like to find out more about the Jacksons. In particular we would like to know more about John and Christopher and their ancestors – who they were, where they came from, where they lived and what they did. We would also like to learn more about Robert’s brothers and sisters including his half-siblings. What became of them ? Did the sisters marry and do they have descendants somewhere in the world ? Who was Mrs Lilywhite and what became of her ? If you can help, with any information at all, we would love to hear from you. Join the prefix and suffix with the "at" symbol to get my e-mail address. If appropriate, and you agree, we can add your information to this website and gradually build up a profile of the family.